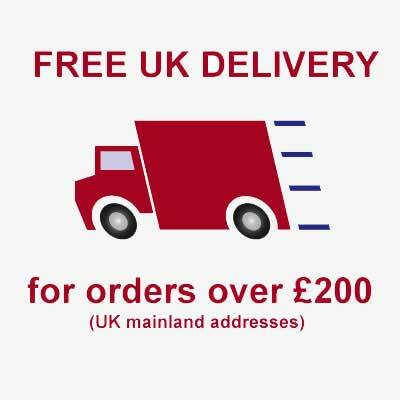 D'Addario is a manufacturer of musical instrument strings, primarily guitar strings, currently headquartered in Farmingdale, Long Island, New York. 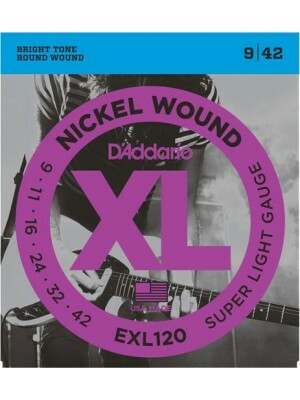 It is a family-owned and -operated business that is one of the largest string manufacturers in the world. During the late 1940s and early 1950s (especially after the birth of rock and roll) nylon-stringed "classical" guitars were being eclipsed in popularity by the steel-string guitar. 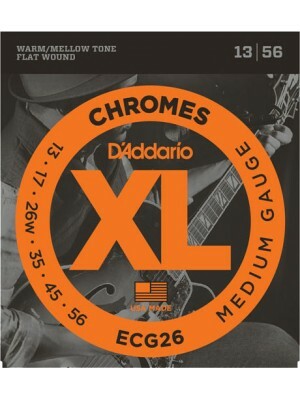 Some of the younger members of the family wanted to expand into steel strings, but Charles was reluctant to risk the family business on what he considered an uncertain market. In 1956 a new company (the Archaic Musical String Mfg Co.) began to make steel strings, run by Charles' son, John D'Addario Sr. The company made strings for several of the major guitar makers of the time, including Gretsch, D'Angelico, Martin, and Guild. In 1962 the two companies were merged under the name Darco. The guitar had become the most popular instrument in the U.S., and the Darco company came up with many innovations in the manufacture of guitar strings, including the first automated equipment to wind strings and the first roundwound bass guitar strings. 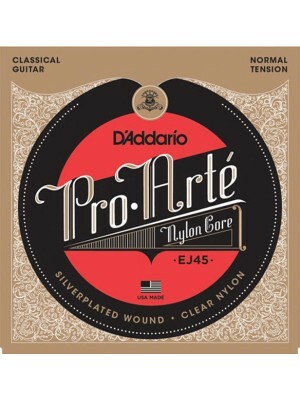 In the late 1960s Darco was approached by Martin Guitars regarding a merger in order to pool resources and development efforts. 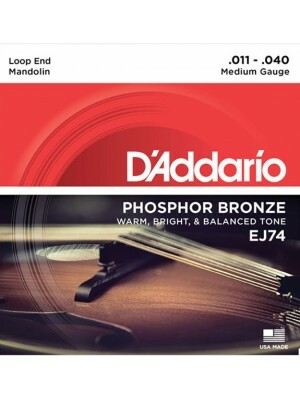 While the partnership was beneficial for both companies, by 1974 the D'Addario family decided it was time to market strings under their own name, and the J. 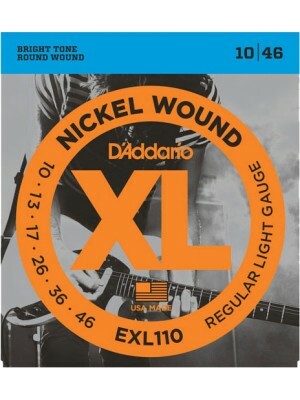 D'addario & Company corporation was formed. 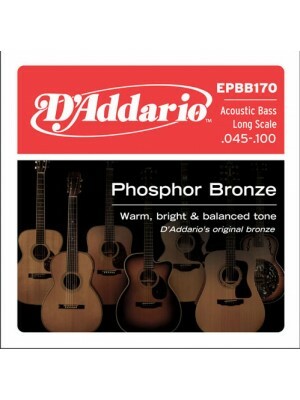 D'Addario's most popular acoustic bass set, EPBB170 provides a rich, deep and projecting tone. 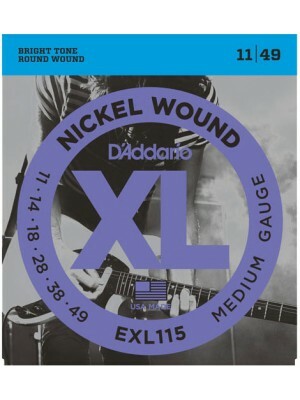 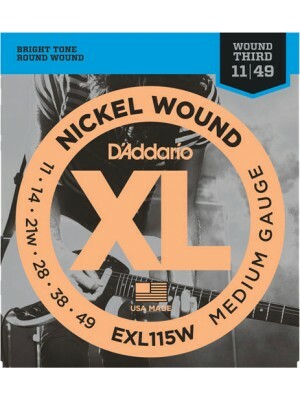 P..
D'Addario's lightest gauge of flatwounds delivers smooth feel and warm, mellow tone with minim..
Ribbon wound and polished for ultra-smooth feel and warm, mellow tone Made in the U.S.A. for..
D'Addario's lightest gauge acoustic guitar string set, known for its superb, long-lasting tone..
D'Addario's most popular acoustic guitar string set, known for its superb, long-lasting tone a..
D'Addario's most popular choice for heavy strumming, flat-picking and resonant, projecting ton..
EJ18 Phosphor Bronze, Heavy, 14-59 EJ18s offer heavier tension resulting in a bolder, more resona..
EJ21, D'Addario's most popular round wound "jazz" set, features a wound 3rd/G string for greater re..
Environmentally friendly, corrosion resistant packaging for strings that are always fresh St..
D'Addario's most popular 12-string acoustic set with optimized gauges for balanced tone and co..
EJ42 6-string phosphor bronze Resophonic guitar strings offer a warm, well balanced acoustic tone, ..
Laser sorted clear nylon treble strings for consistent, precise intonation Made in the U.S.A..
Silver plated copper wound on an exclusive Composite core material for powerful, long lasting ..
EJ74, D'Addario's best selling mandolin set, is the standard established by David Grisman and Rick..
D'Addario's best selling electric guitar set Environmentally friendly, corrosion resistant .. 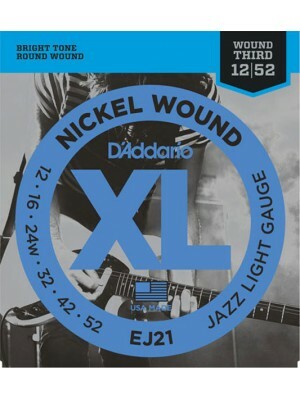 Round wound with nickelplated steel for distinctive bright tone Made in the U.S.A. for the h.. 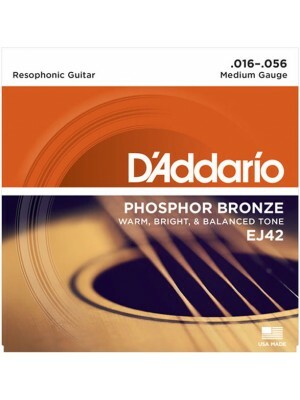 Preferred for their moderate flexibility and rich, full tone Environmentally friendly, corro..
Super light gauges for maximum flexibility and biting toneEnvironmentally friendly, corrosion resis..